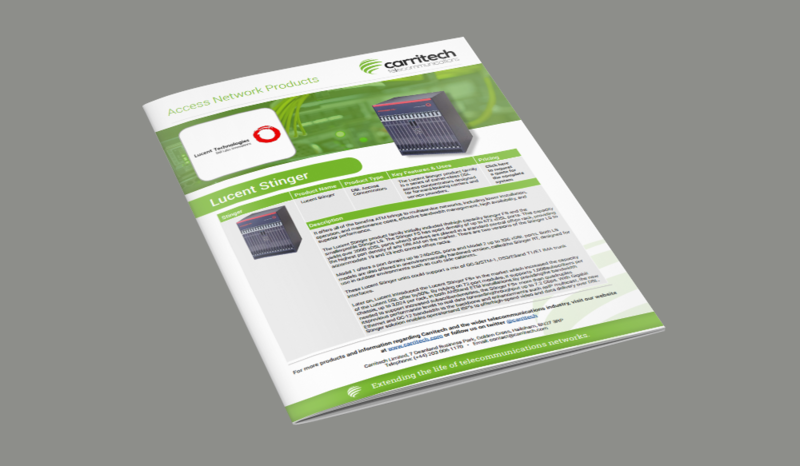 The Lucent Stinger product family is a series of carrier-class DSL access concentrators designed for forward-looking carriers and service providers. It offers all of the benefits ATM brings to multiservice networks, including lower installation, operation, and maintenance costs, effective bandwidth management, high availability, and superior performance. The Lucent Stinger product family initially included the high capacity Stinger FS and the smaller profile Stinger LS. The Stinger FS has aport density of up to 672 xDSL ports. This capacity yields over 2000 xDSL ports when 3 shelves are placed in a standard central office rack, providing the highest port density of any DSLAM on the market. There are two versions of the Stinger LS to accommodate 19 and 23 inch central office racks. Model 1 offers a port density up to 240xDSL ports and Model 2 up to 336 xDSL ports. Both LS models are also offered in an environmentally hardened version, calledthe Stinger RT, designed for use in outdoor environments such as curb side cabinets. 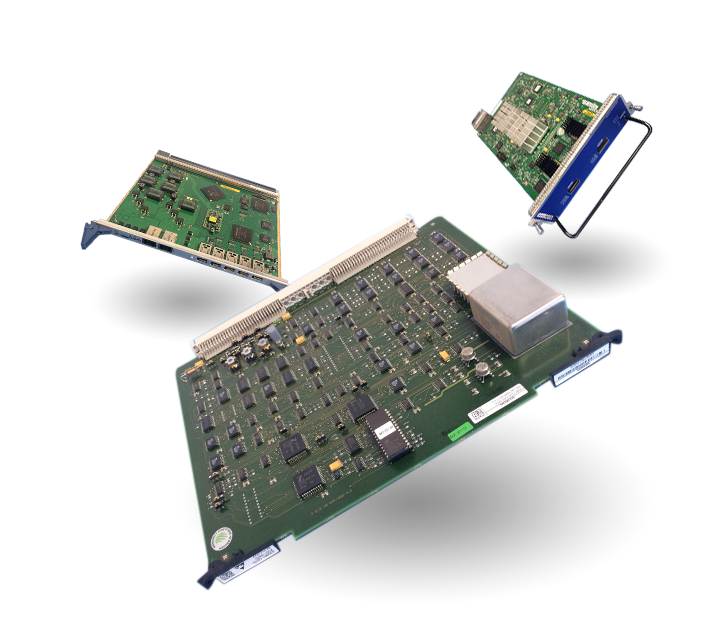 These Lucent Stinger units could support a mix of OC-3/STM-1, DS3/E3and T1/E1 IMA trunk interfaces. 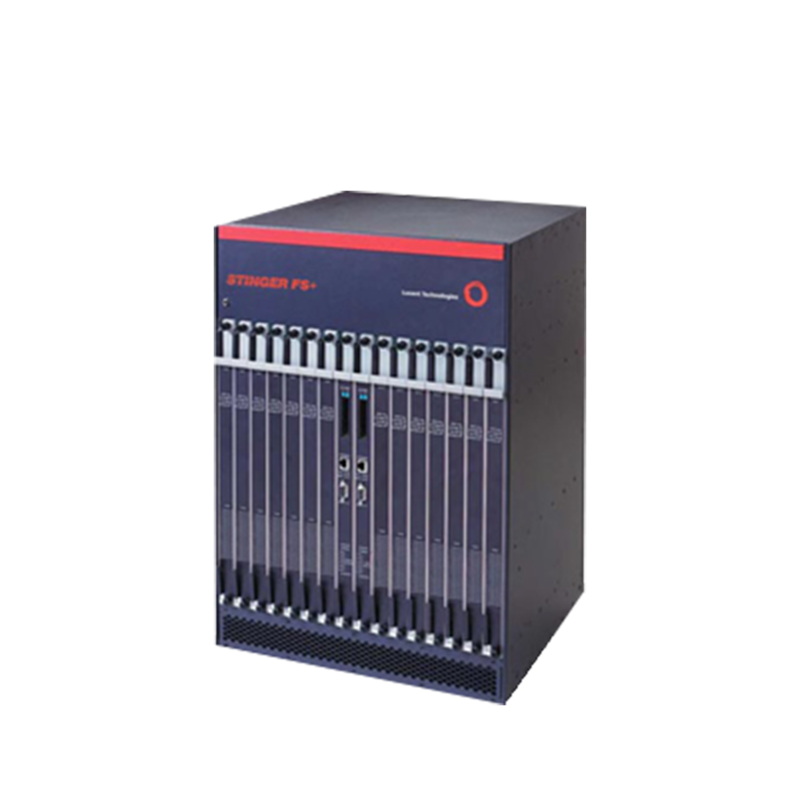 Later on, Lucent introduced the Lucent Stinger FS+ in the market which increased the capacity of the Lucent DSL offer by 50%. By relying on 72-port modules, it supports 1,008 subscribers per chassis, up to 3,024 per rack, in both ANSI and ETSI installations. By providing the bandwidth needed to support increased subscriber densities, the Stinger FS+ more than quadruples its previous performance levels to real data forwarding throughput up to 7.2 Gbps. With Gigabit Ethernet and OC-12 bandwidth to the backbone and enhancements such asIP multicast, the new Stinger solution enables operators and ISP’s to offerhigh-speed video and data delivery over DSL.